We are specialist business law advisors – with a specialist focus on data protection and technology law. If you decide to instruct Pritchetts Law LLP, you can expect to benefit from a highly personal service, which focusses on the needs of your organisation as well as how your business intends to operate and grow. We always work hard to provide comprehensive, but succinct and understandable advice for our clients. We are excited about our clients' businesses and like to get engaged with their projects – we want to be part of your team. Stephanie Pritchett is a Partner of Pritchetts Law LLP and a data protection specialist solicitor. She is an industry-leading lawyer with over 15 years’ specialist experience advising a wide range of clients on all aspects of data protection, freedom of information, privacy and marketing law compliance as well as information management. Stephanie trained with Top 50 UK Law Firm Burges Salmon LLP and has also worked in-house with the Seattle & GBR Challenge for the America's Cup, Royal Botanic Gardens Kew and Virgin Mobile. You can read more about Stephanie here. Ben Wootton is a Partner of Pritchetts Law LLP and an IT and Commercial Contracts specialist solicitor. Ben trained with the international law firm, Pinsent Masons, and has since then worked at Burges Salmon LLP, Addleshaw Goddard, Barclaycard and Heathrow Airport, and for Air New Zealand. You can read more about Ben here. Al Goodwin is a retained Consultant Solicitor at Pritchetts Law LLP and is a Commercial Contracts specialist solicitor. Al trained at top City law firm Freshfields Bruckhaus Deringer and worked at several well-known global and national firms since then (including 5 years as a partner successfully growing a new practice area). Al joined a client of his, a global advanced manufacturing and engineering group, as Head of Commercial in 2016. In 2018, Al opted for the freedom of consultancy roles (although still advising his former employers), bringing a pragmatic, commercial perspective to his legal work. You can read more about Al here. Hilary Homer is our Practice Manager and is responsible for the administration of Pritchetts Law. Hilary is also a Legal Support Assistant. Prior to joining Pritchetts Law, Hilary has had a long career in publishing, working on educational materials for schools for one of the largest publishing companies in the UK, among others. She also edits school assemblies, technical training manuals and e-learning courses for organisations. You can read more about Hilary here. We believe that using lawyers who have the appropriate specialist experience for the task in hand ultimately creates cost efficiencies for our clients, which is reflected in our overall fees. 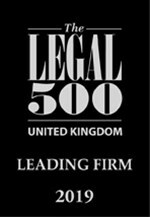 Given the niche setup of our business, we are usually able to offer lower rates than our larger competitors, yet still provide our clients with very senior and experienced lawyers, who have spent many years working in large commercial law firms as well as in-house for large blue-chip organisations. We are responsive to the business needs of our clients, and handle the work given to us by clients ourselves. We do not delegate the work to junior and less experienced lawyers, as is often the case at larger law firms. Our fees are extremely reasonable and we have a flexible charging structure. We are always happy to discuss what fee structure would work best for our clients and to offer fixed or capped fees where we can agree a scope of work.